Bring the family along to enjoy a morning's fun finding the lambs around the school grounds. There is a small prize for everyone who finds the full flock! 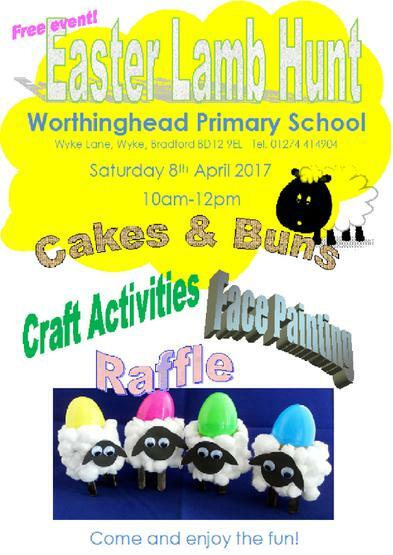 There will be a raffle and a cake & buns stall for those who fancy a tasty treat. The children can enjoy free Easter crafts activities in the hall and have their faces painted.